There are plenty of options for monitoring in Pro Tools to adapt to most any studio setup. Inside Pro Tools software, the routing options vary only slightly between the latest versions. However, the external routing options available on your system vary based on the interface you are using. By default, the main left and right mixer outputs in Pro Tools are routed to Output 1-2 of the interface, possibly called Main Output or another name according to your Pro Tools setup. Commonly, Output 1-2 are connected to the studio monitors for listening (1-Left channel, 2-Right channel). A separate mix for external use, such as a headphone mix, must use additional interface outputs (Output 3-4 for instance). A track's output is assigned using the pull-down menu in the track's I/O section. To use an interface output choose a mono or stereo pair in the Output sub-menu. To send the signal internally, track to track for example, choose a Bus (from the Bus sub-menu). A bus is a digital conduit for passing signal from one place to another…in-the-box so to speak. Note: A bus can be assigned to an interface output in the Pro Tools I/O Setup using the Mapping feature, but their customary use is for internal routing. There are many uses for alternate mixes, but one of the most common is a separate headphone mix. 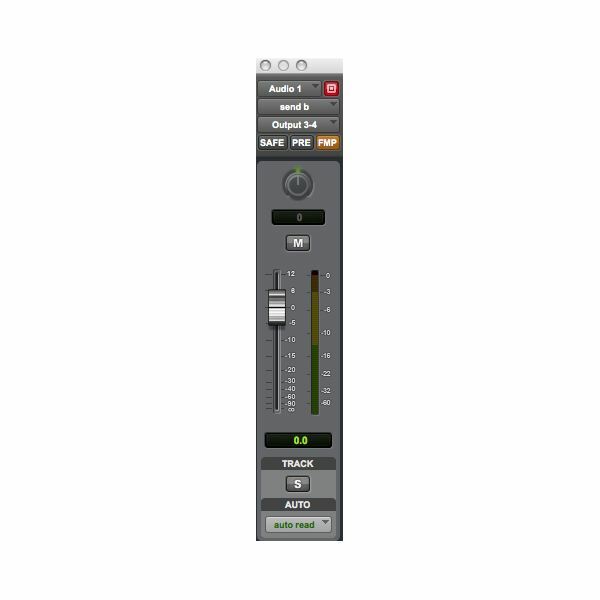 Pro Tools can easily accommodate headphone mixes so long as the interface has the necessary outputs. We will stick with the term headphone mix, but understand the mix could be used for any purpose. There are really two approaches to creating headphone mixes; add to the existing main mix, or building a mix of the tracks from scratch. The simplest approach for a headphone mix with some flexibility is to add a track to the main mix. If your headphone system accommodates multiple channels, simply assign the track to be added to a separate interface output that is connected to a headphone channel. For example, connect or send the main mix to headphone channels 1-2, then connect the additional track output to headphone channel 8 (example: a click track). The musician can blend the track on headphone 8 with the main mix as needed using the headphone system’s mixer features. Done! If your headphone system does not accommodate multiple inputs you can create a separate mix that mirrors the main mix, then add to that mix in Pro Tools using Auxiliary Sends (Aux sends). The following setup assumes the main mix for the control room monitors is assigned to Output 1-2 and the headphone amp is connected to Output 3-4 of the interface. This is only for explanation sake. You could use any open pair of outputs for the headphone connection. Tip: Holding Option(Mac) or Alt(Windows) while creating an Aux send or selecting options will select or create that feature in that slot for all tracks in the session (does not change send level). Alternately, see Tip 3 below. Create Aux sends assigned to Output 3-4 on all tracks to be included. Option click the Aux send faders to set them to 0. So long as the Aux sends are in their normal state (post-fader), this should represent the mix levels. Select FMP on the Aux sends. FMP (Follow Main Pan) will replicate the position of the track's pan. Pan an Aux send as preferred by de-selecting FMP on that track. Output 3-4 should now mirror the main mix for the tracks included. Select Pre (pre-fader) on the Aux sends. This means the main track fader will not influence the Aux send level. Select FMP on the Aux sends as desired (explained previously). Adjust the Aux sends to create a headphone mix. 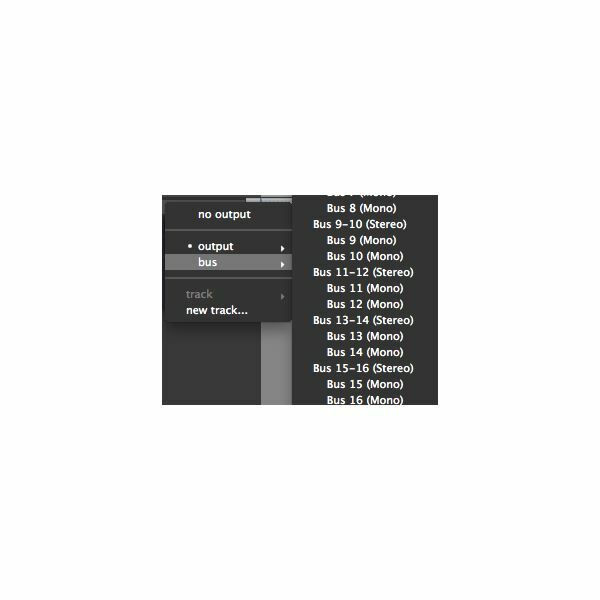 Select a secondary path for each included track by holding Control (Mac) or Start(Windows) and selecting Output 3-4 (or other output) on the main output menu for the track. The tracks are now assigned to Output 1-2 and Output 3-4. A small + will appear next to the output assignment indicating multiple outputs. No Aux send needed. To undo this for any track simply select an output without holding a modifier key. Add an Aux send to a track not used in the main mix and assign it to Output 3-4 to add it to the headphone mix. Note: There are pros and cons of post-fader vs pre-fader. A post-fader mix may replicate the main mix and is possibly quicker to setup, but any moves in the main mix will also change that track's level in the headphone mix. Click (metronome) tracks are generally sent pre-fader to allow totally independent control regardless of how the rest of the headphone mix is structured. Create a Master Fader track and assign it to the headphone mix outputs (Output 3-4 in our examples) to control the overall output for the headphone mix. You can create an Aux send, bus assignment, or other function on selected tracks only. Highlight the track name of the tracks you wish to control. Option+Shift+(Mac) or Alt+Shift+(Windows) the insert, bus, or other function you wish to alter or add on one of the tracks. All of the tracks will complete the action. There are options for monitoring in Pro Tools that easily accommodate alternate or headphone mixes. The interface determines the setup options since alternate mixes used for headphones or other outside world uses require separate output connections. Always practice caution when switching outputs and other settings in Pro Tools. Start by unplugging or turning down (completely) the monitoring levels for speakers, headphones, or any other device that could be harmed by feedback or unexpectedly loud levels. Pro Tools® is a trademark or registered trademark of Avid Technologies, Inc. or its subsidaries in the United States and/or other countries. All references made are to Pro Tools 9.